Recent deliberations at Bagni di Lucca’s town council have enabled long cherished ambitions to be finally achieved. If you buy it in Bagni (in other words if you kick the bucket) you can now have your place of honour at the English cemetery, which hasn’t received an inhumation since the early fifties. Only ashes placed in urns are acceptable. So you must agree to cremation. You can be of any religion you like whether it be catholic, Zoroastrian, Seventh-day Adventist, Mormon, Mohammedan, Hindu, Buddhist, animist, atheist, or even C of E. It doesn’t matter. Your ashes will still be welcomed. This is a great moment for all those who had aspirations to remain in Bagni di Lucca even after the grim reaper. I’m already a member of the cremation society which has its headquarters at Livorno. I’ve now arranged everything for myself in terms of my posthumous existence except I still have to decide the moment of my departure. I wish the deities would inform me of that in time. LUCCA. Approvato in consiglio comunale a Bagni di Lucca il nuovo regolamento di polizia mortuaria, adeguato alla nuova normativa. 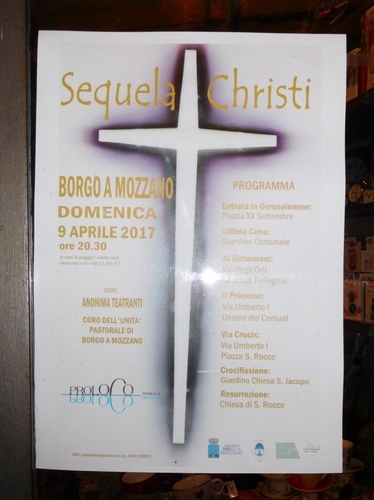 Con l’eccezione della parte esterna delle tombe, che ciascuno potrà affidare a chi vuole, ci sarà un bando per appaltare il servizio di sepoltura a una unica ditta, per evitare problemi, ricorrenti, con tante ditte diverse. Un aspetto criticato dal consigliere Marco Pelagalli, secondo il quale sarebbe stato meglio evitara una sorta di “monopolio” e lasciar lavorare ditte vicine e scelte dai committenti. Il vincitore del bando dovrà assicurare tutte le garanzie legali e sanitarie del servizio, in modo da evitare le tante contestazioni del passato. L’altra novità introdotta dal nuovo regolamento riguarda la durata delle concessioni che si adegua a quella prevista dalla normativa, passando da 50 a 30 anni. «È necessario avere un interlocutore certo — ha dichiarato il sindaco Massimo Betti — che si assuma la responsabilità dei lavori svolti e, non come accaduto purtroppo in passato, trovarsi ad affrontare situazioni di emergenza legate a sepolture non fatte a regola d’arte. Da parte nostra cercheremo di garantire un costo limitato al massimo, in modo che non vi siano aggravi economici o, comunque, siano molto limitati, per i cittadini. Abbiamo, inoltre, voluto che fosse chiaro che la parte monumentale o comunque decorativa della sepoltura fosse slegata dalla tumulazione e fosse affidabile a discrezione della famiglia della persona defunta». Don’t leave it too late – that’s my only advice. There could well be waiting list for such a beautiful place to pass your eternity in…. One last wish. I hope you’ll come to visit me there. I may not have much to say to you when I’m there but the views are splendid and I’m sure you could at least have a glass of fine vino over my mortal remains. 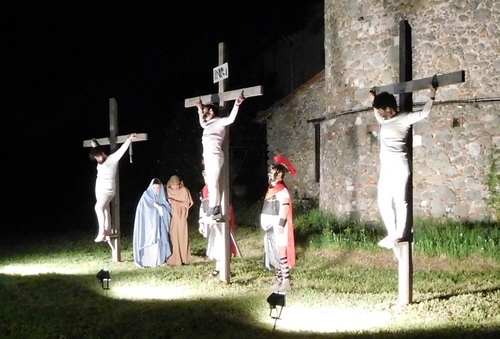 In all the years we have been passing Easter here in Bagni di Lucca there’s no better way to start off this day of hope and peace than attending Easter Mass at the Convento dell’Angelo, that incandescently beautiful building on the hill above Ponte a Moriano. The convent is Nottolini’s masterpiece and, until a short while ago, was the home of the Passionist fathers so closely associated with that neglected Lucchese Saint Gemma and now Maestro Kuhn’s musical academy. After this, in in every way, high experience we returned home to enjoy our Easter lunch. What with Sandra’s true English lamb chop, her delicious lasagne, and two cakes one baked by each one of us we celebrated this most important event in the liturgical year with joy. Yet we could not sadly ignore the fact that in the world at large this has been one of the most violent Easters on record. How could anyone, for instance, blow up buses containing refugees from that horrifying conflict in Syria when all they were trying to do was to find peace in some part of this increasingly vicious world? The picture of that girl with her cat boarding the suicide bus will for ever haunt me. Where are they now, I wonder? My Easter card poem this year reflected this tragic Easter. *Evil servants of Sauron in Tolkien’s ‘Lord of the Rings’. **Aramaic, Christ’s language, meaning ‘The Messiah is Risen’. We were parked by the road side and thinking about the great lunch we’d just had when Sandra suddenly remarked to me that she thought she could see two mediaeval pilgrims approaching us. I had my doubts about the apparition she described but I need not have doubted her. Soon we were talking to two Franciscan pilgrims who had walked all the way from Sicily. Talking to them we discovered that the pilgrims’ task was to reach every region of Italy. 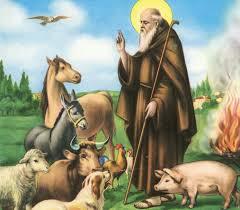 Brother ‘Fratell’ Biagio Conte belongs to the Mission of Hope and Charity of Palermo. He’d already walked across the terrible areas hit by the central Italian earthquakes of last year. His companion was from Hungary. Fratello Conte told us his mission was to bring peace and serenity to all people, especially who have been hit hardest by adversity. ‘We mustn’t lose hope whatever else happens’, he advised us. ‘Especially in these times when too often people shut themselves in, build walls and exclude others’. It was a truly wonderful moment to meet these pilgrims on Maundy Thursday, the day before Christ suffered his Crucifixion. And it seemed that meeting these persons was almost coming across another age when Faith was greater. Seeing and talking to them decorated with the shell of Saint James, long-bearded, garbed in green and carrying our Saviour’s cross truly made our day. ‘Brother Biagio said ‘some people give us bad looks – others tell us to go to hell but it doesn’t matter to us what they think. We are bringing the Easter message of peace in the confidence that hope shall never die. Today we’ve come from Arezzo and now we’re heading for Florence. ‘What wonderful ingenuity and, indeed, bravery’, I thought. 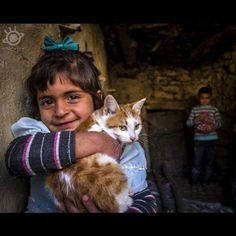 How many of us would love to discard all the clap-trap of so-called civilized life and head for the road with blind faith and a smile on our lips whatsoever may happen to us! With this thought I wish all my devoted blog readers and their friends a VERY HAPPY EASTER! the new day over night. that ripped the veil in two? and ever war be through? as Christ rose from the ground? What better way to spend a rainy afternoon than attend a talk as part of the Unitre (university of the third age) programme. 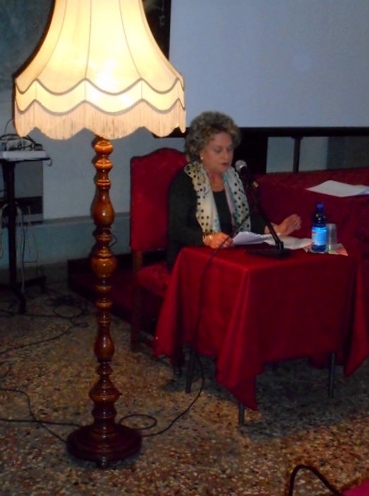 Natalia Sereni, our local historian is well-known for her books on, among other subjects, the Prato Fiorito, Bagni di Lucca’s part in World War One and the entry of Fornoli in the comune. Sereni’s subject yesterday was ‘Racconti Notturni’ (Tales of the Night). 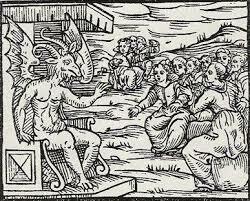 To this day stories are told locally of witches, demons, sorcerers, elves, sibyls and soothsayers. 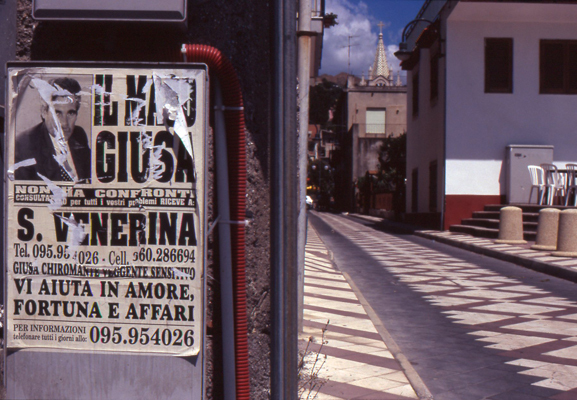 Indeed, Italy today is even fuller of what are generally called superstitions. Horoscopes are eagerly read and broadcast and posters advertising fortune tellers and card-readers drape our town walls. Why should beliefs in magic and witchcraft still be flourishing and expanding in what is supposed to be a rational and scientific age? The fact is that these beliefs go back an incredibly long way and are rooted in ancient pagan beliefs. Indeed, the word ‘pagan’ comes from the root for ‘village’ and that’s where these beliefs survive to this day. Religion (derived from the Latin ‘religio’ – tying together) systematised and created a hierarchy of these credences with God placed firmly on top of the pyramid. In post-reformation northern Europe there was no place for magic and witchcraft. Indeed, such practices were actively discouraged by burning perpetrators of anti-religious heresy at the stake. A manual, ‘Malleus Maleficarum’, (the hammer of witches) written by clergyman Heinrich Kramer and published in 1487 and apparently still in use by the church is an excellent guidebook to the discovery of witches and the ways of interrogating them with appropriate punishments and the correct instruments of torture to use. 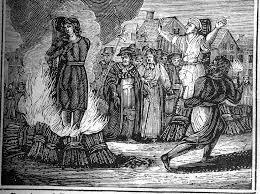 So it was the Protestants who led the league in the burning of witches, especially during the start of the seventeenth century. Indeed, King James I was a specialist in the subject – no wonder that Shakespeare dedicated ‘Macbeth’ to him. In catholic Italy there was less burning and persecution going on – the last witch was killed off in 1828. The reason for this is that the Catholic Church used a process of syncretism in which previous pagan beliefs were incorporated into a new scheme approved by the ecclesiastical authorities. Thus, the Earth goddess Diana was incorporated into the Virgin; the attributes of wizards were made part of the characteristics of St John the Baptist and at least one divinity who protected shepherds’ herds and farm animals became St Anthony Abbot (whose ancient statue incidentally graces our local church at San Cassiano). No wonder so many churches here are built on the foundations of pre-Christian temples and shrines. Recently we visited Tamilnadu in India and were amazed by the fact that the rites carried out in the magnificent temples of that part of the world have remained the same for thousands of years. Even the appearance of an Asian messiah in the form of Gautama did not interrupt rituals of worship but became incorporated within the multiplicity of idols which adorn these religious centres through the process of syncretism. The multiplicity of saints in the Roman Catholic faith may be regarded as replacements for the many gods, sprites, fauns and deities of ‘pagan’ times. Catholics are in reality, worshipping in a structure which systematises and orders primeval beliefs whose main object was to help people understand the weird world they lived in. Myths and legends are, in fact, narratives which explain why things come to be and are what they are. If one complains saying that science has done away with this sort of ‘magic’ interpretation then think again: there as so many things which happen in one’s life, so many strange coincidences, phenomena, intuitions, singularities, miracles even, which cannot simply be explained by the laws of quantum mechanics or physics or, indeed, any other form of scientific or rational theory. An aside by Bagni di Lucca’s own Vito, who combines modern medical science with holistic practices and psychoanalysis, was most perceptive, especially when regarding dreams. Vito sees dreams as the only state where mankind experiences complete freedom: in daily life we are obliged to place the chains of social restrain on us. Dreams, therefore, can provide an indication of who we really are and where we are likely to go. The problem, however, is the way we interpret them. Natalia Sereni finished her perceptive and provoking talk with a quote from Hamlet: ‘There are more things in heaven and earth than are dreamt of in your philosophy’. After all even I have difficulty in explaining that our planet is a globe to a determined believer in flat earth theory. That’s why I’m off to the local wise woman to get some advice on what is the best washing powder I should buy. Gyangtse is the archetypal Tibetan town. With its population of around ten thousand it used to be the country’s third largest town but has now been overtaken by ten larger cities. Largely overshadowed by its bigger neighbours, Gyangtse still retains something of the feel of old times with its traditional architecture, its stunning location and its friendly locals. We installed ourselves in a hotel which was vast and has clearly been used to hosting official party congresses. Its large dimensions were, however, tempered by some of the most exquisite modern murals and decorations I have seen. Next morning we took a quick look around the market of this mainly agricultural town. We then walked along what is popularly known as ‘cow street’ because of the number of these quadrupeds tethered outside the characteristic flat-roofed (because there’s little snow that falls in Tibet) houses. The buildings were full of exquisite details. Dominating the town was the dzong or fortress, a landmark in the infamous Francis Younghusband expedition to Tibet of 1903-4 which not only was the first time a English person entered the forbidden city of Lhasa but also turned out to be a large-scale invasion with negative consequences for Anglo-Tibetan relationships. The fact was that British Army Gatling guns were a highly unequal match against Tibetan ancient flintlocks. Statistics vary but in one encounter, reckoned to be the highest altitude battle ever fought by the British army, five thousand Tibetan army personnel (largely monks) were killed with just five British casualties. Sir Francis Younghusband afterwards sorely regretted his aggressive approach which was frankly a political one involved in the ‘Great Game’ where the British and Russian Empires thought that each other had designs on the vast and largely unexplored expanses of central Asia and even India itself! (This story forms the background of Rudyard Kipling’s masterpiece ‘Kim’ –a must-read book and one of my favourites). From Younghusband’s early explorations, which took him to all parts of the Chinese subcontinent, through the shameful Tibetan expedition, to his last years as a spiritualist writer of such books as Life in the Stars, The Light of Experience, Dawn in India and The Living Universe we have someone who personifies both the best and worst of the British explorer-imperialist. But does it really require an unnecessary slaughter of Tibetan monks to see the Divine Light, develop faith in cosmic rays and believe that on our earth there are extra-terrestrials with transparent flesh hailing from the planet Altair? The highlight of Gyangtse, however, is not the fort, which is dedicated to the Tibetan and Chinese martyrs of those early twentieth century years, but the ‘Kumbum’, or one hundred thousand images – an astonishing, perhaps the most astonishing, building in Tibet. 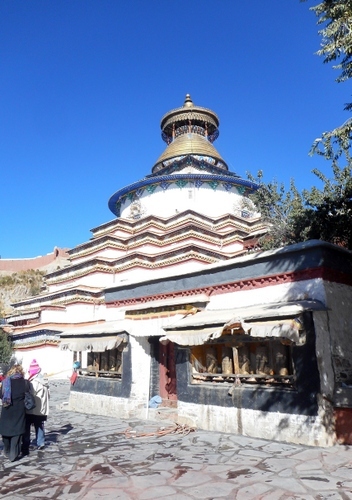 The Pelkhor Choede (to give it its proper Tibetan name) is a chorten, or shrine, housing an accretion of statues of the Buddha and his acolytes and avatars and built in the shape of a three-dimensional architectural mandala. I only wish I had a drone with me to take pictures of this wonderful building from above so that its complex intersections of circle within the square, so characteristic of Mandalas, could be seen. No photos, however, can capture the wonder of this building and its treasures. The Palcho monastery where the Kumbum is placed is equally worth a visit with its lines of prayer wheels and its large assembly hall. It’s a pity that the number of monks here are just a fraction of what they used to be. I could have spent days in Gyangtse – perhaps hiring a bike to visit the surrounding country which is delightfully rural. Certainly I had to be dragged away from the Kumbum – the magic of that building had me in raptures. For once the significance of Mandalas encapsulated me for I was actually inside one as I rose higher and higher to the top and enjoyed a wonderful view of the landscape looked over by the final statue of Shakyamuni, the Supreme Buddha. Sadly too, the Kumbum marked the last stop of our travels in Tibet. From now on we would be homeward bound….